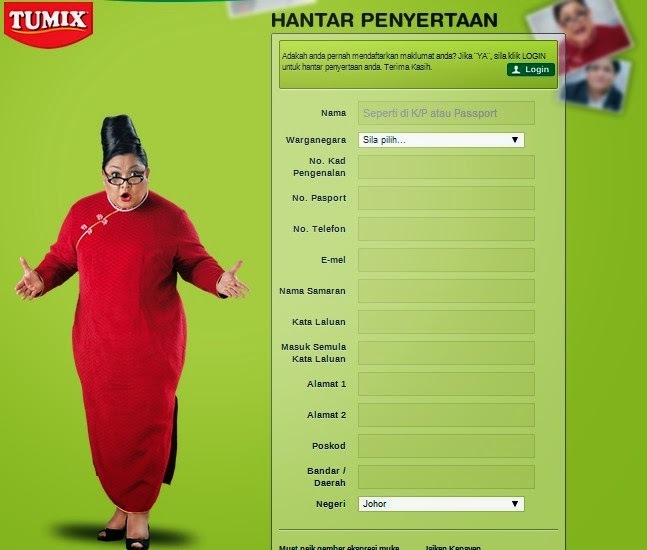 NEVER MISS THIS TUMIX ADS! 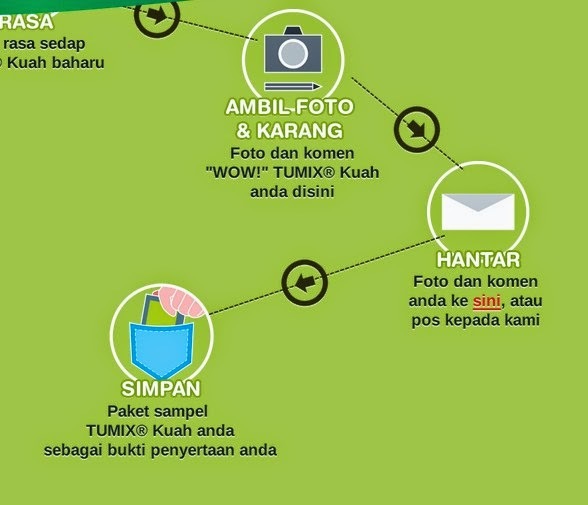 its explain how you might win this RM100,000 with Tumix Kuah ! Mr. Ryoichi Ebata with New TUMIX® Kuah Ambassador, Adibah Noor, popular actress, singer and radio personality. 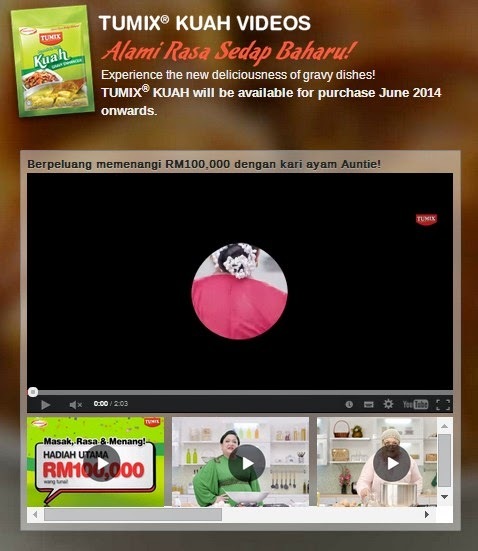 To kick off the TUMIX Cabaran Rasa Kuah Contest and promote TUMIX® Kuah. Adibah appears in a series of five delightful internet-only videos. 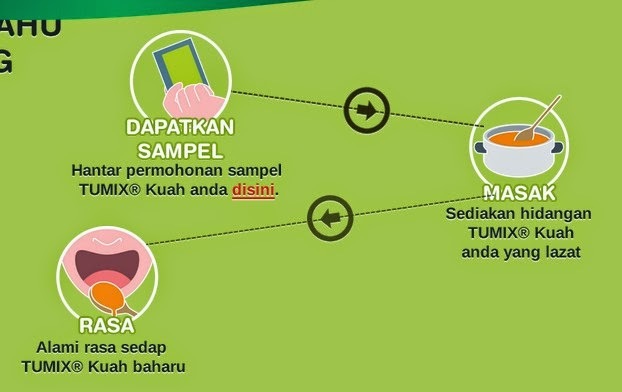 Anyone can obtain a free sample sachet and participate in contest, by simply logging on to www.tumixkuah.com.my or by obtaining it from one of the “Sampling Teams” at AJINOMOTO’s nationwide roadshow, or from the HOT FM & SURIA FM radio cruiser, which will be appearing in. 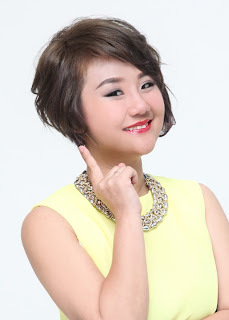 Remember to pose as cute/funny as you can with TUMIX Kuah Packet & yummy dish ! As such, AJINOMOTO (MALAYSIA) BERHAD is giving opportunity to everyone in Malaysia to try the new tumix kuah for free and the opportunity to Cook, taste and win up to RM100,000 in cash in the tumix cabaran rasa kuah contest – just by trying the products and submitting an interesting photo (with a caption) of the reaction of someone tasting the gravy! PS: keep the sample sachet as a reference. 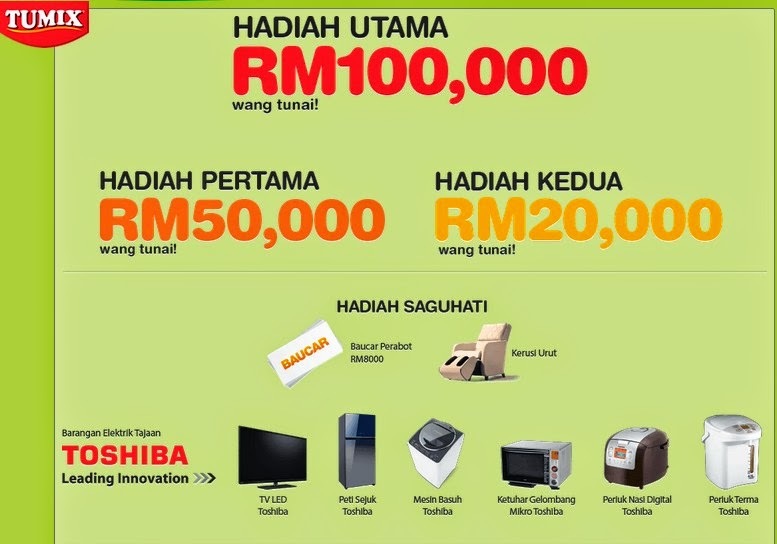 The Tumix Cabaran Rasa Kuah Grand Prize is RM100,000 in CASH, the First Prize is RM50,000, and the Second Prize in RM20,000 plus many fantastic consolation from Toshiba. There are also fortnightly cash prizes to be won for on-line submissions! this web site iss truly amazing.